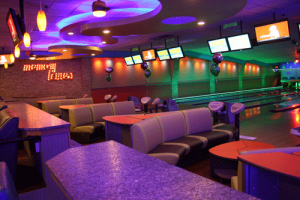 Ready for Striking Great FUN then Memory Lanes VIP Bowling Suite is perfect for your party! Celebrate that special Corporate Team Building, Birthday, Holiday Party, Bat or Bar Mitzvah in style. 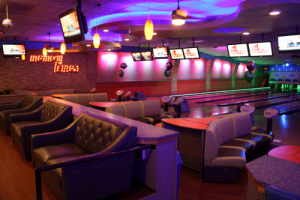 Treat your guests to a VIP event with private bowling, events rooms, future bowl our signature light and sound show, and a personal party host for your entire celebration. 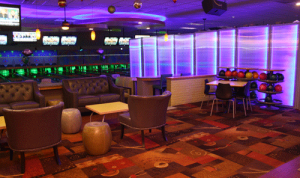 Make memories while sharing memories, enjoy personal photo slide shows or music videos on our drop down screens right at the lanes and on all the TV’s in Memory Lanes VIP Bowling Suite. We can even upgrade with billiards, private ping pong and Game Mania Redemption Arcade to continue the FUN! Lounge on comfortable mid century inspired furniture while enjoying your party, select dining options all custom catered for your event including exclusive bar service. Packages custom designed with YOU in mind. Your personal event host will assist you from the start of the reservation until the last guest depart. Ask about our novelty party items to add to your experience, or our complimentary transportation services from your local hotel, company offices, or organization. Ready to make some memories? Call Maggie Parker our Events Experience Director to start making your memories today at (856) 429-2695 or email party@bigeventfun.com. We are entertainment right up your alley! This experience can be add to any of our packages. Contact our experienced event planners to get your party started today.